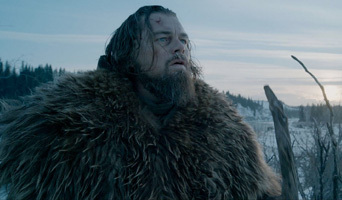 Leonardo DiCaprio and Tom Hardy have gone frontiersman feral in this new trailer for The Revenant, an intense wilderness thriller from Alejandro González Iñárritu, the director of Birdman. Also for the ladies, DiCaprio has never worn a more cuddly outfit. Chevy Chase’s Vacation film franchise has been rebooted with Ed Helms at the, er, helm. He’s Rusty Griswold, the teenage son last time, now all grown up and taking his family on the same cross-country trip to Wally World theme park, to spice things up with his wife and reconnect with his kids. Misadventures ensue. Johnny Depp finds a character even more sinister than Willy Wonka, he’s got eyes like an alien and he’s very concerned about recipes. The second Star Wars: The Force Awakens teaser trailer has been released, giving glimpses of a great many things, including Harrison Ford and the voice of Mark Hamill. 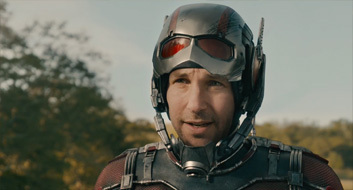 Marvel has released an all-new Ant-Man trailer to play in front of Avengers: Age of Ultron. It’s bigger and miles better than the first, showcasing the smallest ever Paul Rudd. Spectre Teaser Trailer – Is Christoph Waltz Blofeld? James Bond: Part 24, known as Spectre, tells the ongoing story of a spy who doesn’t keep a low profile and constantly disobeys orders. It revealed its teaser trailer last week, and now Christoph Waltz has been talking with GQ about whether he’s playing legendary villain Blofeld. He denies it 100%. Is he telling the truth? It’s been over 30 years since the original Poltegeist film hit cinemas, which is several lifetimes in Hollywood years – so it stands to reason that we’re getting a reboot. And the reboot cometh, with the first trailer having just touched down. Magic Mike may sound like a kids movie but it’s not. 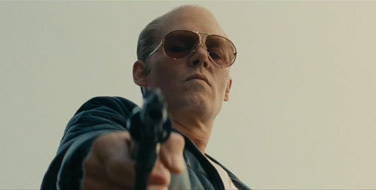 And after making $167 million theatrically off a $7m budget in 2012, he’s back with more grease than ever. Fox says the teaser trailer for Fantastic Four is now the most watched they’ve ever made, with over 42 million views in a week. More than X-Men: Days of Future Past. 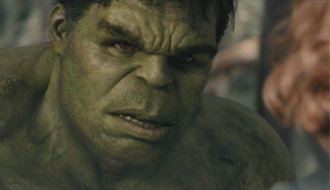 It’s another Avengers trailer showcasing multiple superheroes looking sad.